The SEC rejected on Wednesday nine bitcoin futures tracking ETF proposals all at once and the bitcoin price didn’t react much. 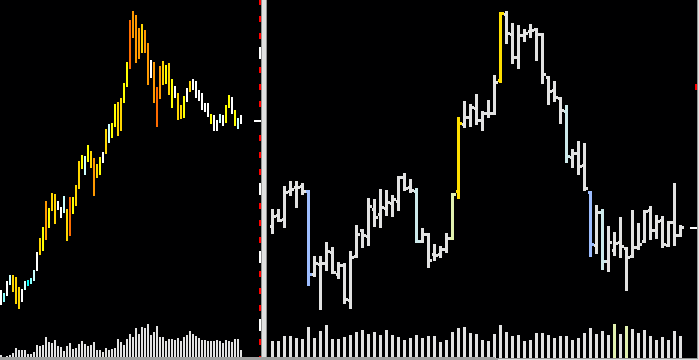 See the weekly (left) and daily (right) charts below. The small run up yesterday and the fall back occurred mainly before the SEC published its decision. The situation is somewhat similar to the one last year. The bitcoin market seems to be immune to SEC disapprovals of bitcoin ETFs. See here Trend Sigma’s comments about the first denial and the strange price behavior before the start of the run, which suggested a strong upside potential. However, times are different now, as bitcoin may currently be in or soon get into a downward spiral. So, what had the SEC to say this time? There were nine proposals from ProShares, Direxion, and GraniteShares that tried to get a bitcoin ETF approved. All based their proposal on an ETP that would track bitcoin futures at the CBOE and the CME rather than bitcoin itself. The hope was that because these exchanges are regulated the SEC would decide differently this time. Instead the SEC argued that the underlying asset is still bitcoin and that a bitcoin related market of “significant size” must exist with which the exchange that proposes, lists, and trades the bitcoin ETF has a “surveillance-sharing agreement” in place. Their reasoning seems to be that this bitcoin related market must be so significant that a manipulator or fraudster would have to trade on that market and that there is therefore a chance to detect and identify this individual or group with the “surveillance-sharing agreement”. Specifically the SEC said that the futures markets of the CBOE and the CME are young and while their trading size is known, the bitcoin trading volume worldwide is more or less unknown. If any, various evidence suggests that the future markets are small and thus insignificant compared to all bitcoin related trading globally. The CBOE and the CME are regulated, but that isn’t enough as there is still the argument of the “significant size”. Bitcoin trades worldwide and the SEC can always argue that the part of the global market that is surveillable by a listing exchange is insignificant. If significance means that a manipulator has to trade on such a market to conduct the manipulation so that they can get caught by the surveillance, it eventually means that all important global bitcoin markets have to unify, which is highly unrealistic. The argument of the SEC goes also the other way round. The ETF market must not be so large that it is the main influence on prices in that other bitcoin related market that gets monitored. In other words, the SEC holds the door open for any denial in the future as the demand of the “significant size” is something hard to judge and even harder to fulfill. Who knows, perhaps all this is more “politically motivated” and the SEC got a signal from “somewhere upstairs” as bitcoin and other altcoins are surely a problem for central banks, governments, and the riches. Yes, also rich people are keen to kill bitcoin, because if bitcoin became a form of newly accepted money, it would inflate the world’s total money supply, meaning the riches would become poorer. The existence of bitcoin ETFs could also be used as an indicator of how much governments and the other powers are opposed to cryptocurrencies. Some countries may approve them to be on the forefront of financial innovation or they may support and develop crypto-trading or payments with cryptocoins, but really indicative would be the behavior of the large economic blocks like the United States, Europe, and China. The latter already seems to have decided, namely against the crypto-revolution. Perhaps the SEC thought something very different from what they say. If they were approving an ETF, they would signal the world that bitcoin is a real investment. In some way they would encourage literally worldwide people to invest in bitcoin. On the other hand, they might think bitcoin has no inherent value and that it likely will go down to zero some day. If this is their reasoning, they might try to save investors from such a misstep. Of course, they can do so only within their framework of rules and that’s why they stress this manipulation possibility that much. It looks like we are back to the “upstairs theory”. Interestingly one of three commissioners of the SEC, Hester Peirce, spoke out against the final disapproval of the Cameron and Tyler Winklevos ETF a few weeks ago. Essentially she claimed that the SEC should assure only that “a money raising entity is explaining exactly their legitimate project and what they intend to do with the money”, but not more. But then, at least for now, bitcoin traders seem not to be impressed by Wall Street’s failed attempts to establish a bitcoin ETP. 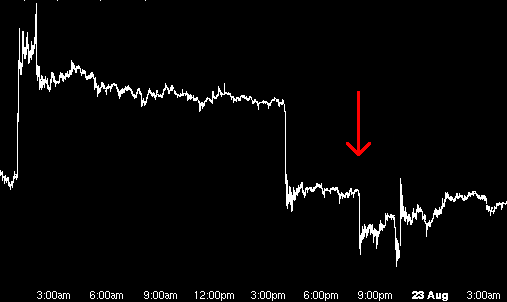 At the moment the market is much more impressed by itself, by which I mean the current downturn. If a U.S. based ETF were approved in the future, that would likely be a strong trigger for a reversal. But for now the bitcoin downward spiral looms around the corner. Read more about the underlying reason for that downturn, which is already self-amplifying.